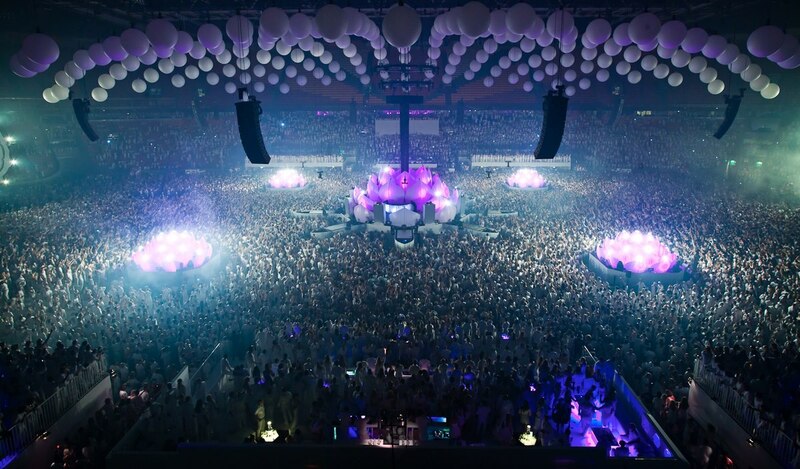 Those of you that missed the majorness that was the “#OneLastTour” of Swedish House Mafia last week or those who are just hungry for more EDM maybe you can look forward to Sensation, an EDM ocean of white on June 1st, 2013 at the Rogers Centre. Tickets for the highly anticipated Sensation will start at $125 (for a Regular ticket), and they start to go on sale on March 8 at 10am at ticketmaster.ca. You can also buy at sensation.com or 1-855-985-5000. Check out the Sensation Canada video for Toronto! As the opening act for every Sensation event around the world, Mr.White knows how to set the mood and keep the party moving. His message is simple “Let’s just dance” which plays out in his pumping and rhythmic sounds going back to the roots of house music. On the forefront of electronic dance music since the late 80s, 2000 and One (aka Dylan Hermelijn) is credited for championing the sounds of Amsterdam’s new school DJ and Producer generation and helping propel the scene’s visibility onto the international stage. One of the most versatile, in-demand international artists, he continues to break new sound barriers in the world of EDM. Learn more about Amsterdam-based 2000 and One at www.facebook.com/dj2000andone. Another Holland success story, this DJ duo is known around the globe for performances that inspire and awaken the soul. Known for monster anthems like “Tribeca” and their remake of Tiesto’s “Lethal Industry,” Sunnery and Ryan have become must-haves on the superstar tour circuit as they help to preach the gospel of house music wherever they go. Check out http://sj-rm.com/ to learn more. Famed Dutch artist Fedde le Grand is one of Holland’s most successful DJs who jumped into fame with his international success Put Your Hands Up For Detroit (2006). His energetic performances have become the stuff of legend and helped earn him a top 20 ranking (14th) in 2011’s DJ Mag Top 100 DJs Chart. Check out www.feddelegrand.com for more info about what le Grand is up to next. Best known for his 2004 chart topping smash hit “Call on Me”, Swedish DJ and producer Eric Prydz was recently in good company as a Grammy nominee for Best Remixed Recording for “Midnight City (Eric Prydz Private Remix)”. Between his work running multiple record labels and rocking stages at music festivals year-round, he still managed to release his highly acclaimed album Eric Prydz Presents Pryda in 2012, delighting both mainstream and underground fans alike. For the latest on Prydz, visit www.ericprydz.com. Otto Jettmann, better known as Otto Knows, climbed to fame in 2010 with a remix of Imogen Heap’s “Hide and Seek”. Part of the explosion of Swedish house DJs, he launched his solo career last year with the single “A million voices” which dominated clubs across Europe and on the pop charts in Belgium, the Netherlands and the United Kingdom. Go to www.facebook.com/OttoKnows to get the latest on Otto Knows.